If you know this dish, and are wondering why anyone would need a recipe for Fritos Maduros, then this is probably not a recipe you’ll need. But think of those people who’ve never had the pleasure to try this. They need this in their lives, don’t you think? There can’t be in the Dominican cuisine any other dish that combines so well simplicity of preparation, popularity and exotic flavor. This popular dish is popular in Cuba and Puerto Rico too, where they are known as maduros. They are also served in many other Latin American countries. This is served as a side dish to lunch or dinner, another way in which we Dominicans combine sweet and savory flavors. 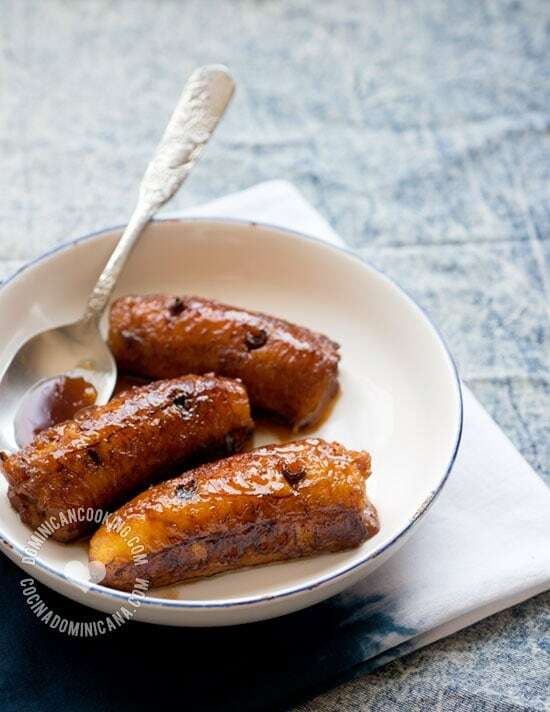 Another sweet dish served with savory dishes is Plátanos al Caldero (Caramelized Ripe Plantains), or even a ripe banana in a pinch. Fritos Maduros Recipe (Fried Ripe Plantains): one of our most popular side dishes and one you should try to prepare even if you are a beginner cook. 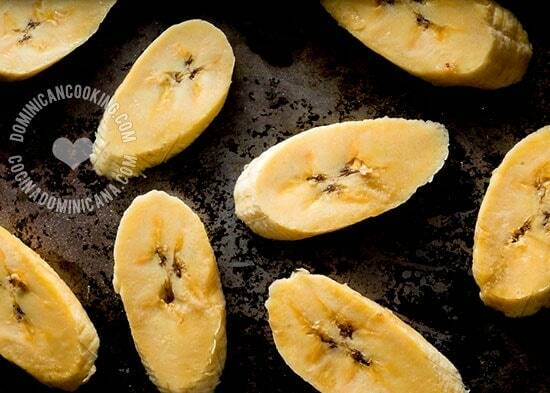 Peel the plantains and cut diagonally into 1/4" inch (0.5 cm) slices. Deep fry the plantains over medium heat until golden brown. Perfection! Easy recipe and so good with some cilantro black beans and fried fish. la receta es muy bien. Mi familia le gusta. Look forward to your recipes and information!